Hope everyone’s having a great holiday season so far. I am, thanks for asking, but I’ve also been busy busy busy. 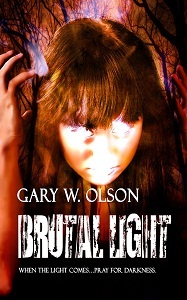 I’ve been keeping the site updated with links to all the various places where Brutal Light is available (a list that, in addition to the U.S., now includes Canada, the U.K., and Japan). I’ve been plying reviewers with requests. I’ve even been holding off on chugging eggnog and scaring passerby with my caroling. Lincoln Crisler is still seeking people willing to chip in (via Kickstarter) to send him to his hometown for a book tour. There’s lots of good stuff that you get at various donation levels, including books (already published and upcoming) by Lincoln Crisler and Tim Marquitz. You get your money’s worth no matter what level you pledge at! 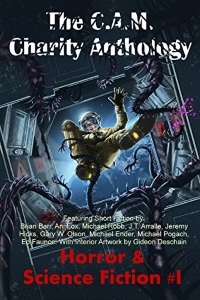 Bryan Thomas Schmidt came up with this list of 16 Holiday Themed Science Fiction and Fantasy Stories, some by big names, some by new (to me) names, all free online. Ho ho ho! And here’s another Mythos-oriented parody song: It’s Beginning to Look a Lot Like Fishmen. Happy holidays from Innsmouth! One more? Okay, here’s Chewbacca singing Silent Night. Yes. I am ready for some eggnog now.